Missing teeth can alter the appearance of your smile which in turn can affect your confidence. Bridges may be used to replace a missing tooth or teeth. A Bridge refers to a FIXED replacement for a missing tooth / teeth. 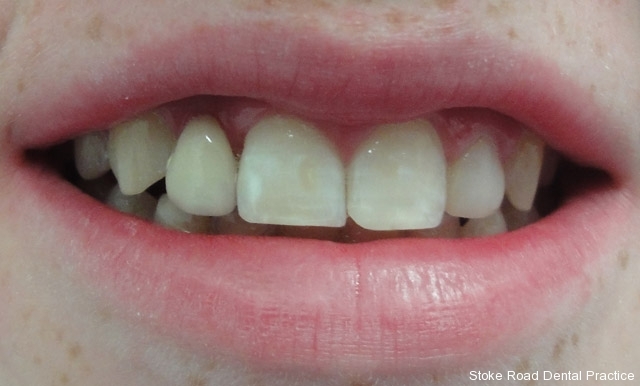 Artificial prosthetic teeth are attached to your own healthy teeth to close any gaps. 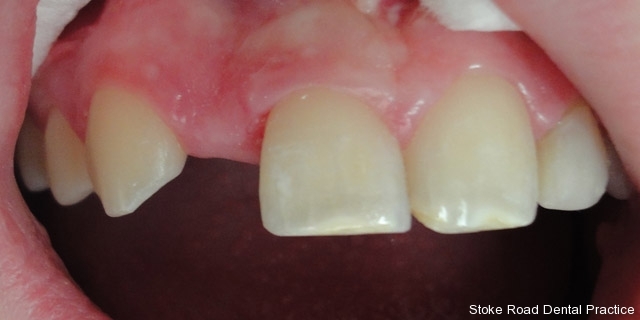 Where teeth are not present to support a bridge, implants may be used to hold the bridgework. Bridges overcome the disadvantage of dentures in that, they are fixed to underlying healthy teeth and better for patients who don’t like the idea of a plate or anything removable. They may increase the “number functioning of teeth pairs” and hence improve chewing efficiency. A bridge may be suggested to you by your dentist to improve your bite and protect the rest of your teeth if you do not have enough pairs of functioning teeth..
A bridge may last for many years, factors which may affect how long it lasts include: the general health of the patient, diet, the oral hygiene, condition of the gums, the quality of teeth supporting the bridge, bite, any habits (clencing or grinding), remaining number of teeth. If a tooth is root filled, a post is sometimes placed inside the tooth to help support and retain a bridge. Resin-retained bridges, (sticky-bridges) require less preparation of existing teeth and are made using Nickel-Chromium and Porcelain. Under local anaesthetic, the teeth planned to retain the bridge are carefully trimmed and shaped. Impressions are taken of the prepared teeth and the opposing jaw. A temporary bridge may or may not be placed and a shade taken of the final bridge to be prescribed to the technician. After removal of the temporary bridge or other, the final bridge is tried in. It is assessed critically for fit, shape, colour, aesthetics, overall finish, margins and bite. After the above is checked and satisfactory, the bridge is fit with the appropriate adhesive. Bridges need to be monitored and maintained. Interdental cleaning aids such as Superfloss and Tepes are helpful in their maintenance.